Jessica Wendorf Muhamad, Ph.D. is an Assistant Professor of Communication in the School of Communication at Florida State University. She is also the Director of PEAKS laboratory, which is focused on developing – through participatory action research – evidence-based interventions for complex social issues. 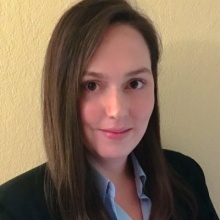 Jessica’s research focuses on understanding how and why enacted, entertainment-educational experiences (e.g., game-based interventions) influence individuals. Her primary line of research focuses on (1) the development of culturally relevant, experimentally-based health interventions constructed through a participatory and engaged approach; (2) examines how pro-social, persuasive narrative embedded within experiential learning opportunities influences individuals’ attitudes and behaviors regarding health and social issues; and (3) extends beyond active entertainment-education mechanisms to a holistic understanding of intervention adopt-ability through an examination of implementation climate pre-&-post-development. Serious games (SGs) provide a space of cognitive and emotional engagement where participants experience, interact, and enact social worlds that might not otherwise be possible; therefore, allowing a psycho-social meaning-making process to unfold. Functioning in many of the same ways than other entertainment-education programs, SGs move beyond embedded pro-social messages and mere entertainment value and serve as facilitators of deeper and more personalized processes through creating environments of new understanding via embodied experiences. Through deconstructing social norms – including beliefs and values such as stigma – audience members (participants) are presented with alternate ways of being that, although transgressing the established status quo, offer significant advantages. The focus of the presentation will be on the process of knowledge construction and validation (the how of communication) via SGs, and their influence on social structures for micro-meso-&-macro-levels (e.g., community) outcomes at multiple levels. At the individual level, SG-based interventions discussed will demonstrated the potential to influence attitudes, beliefs, and awareness; at the systems level (community) the focus is influencing environment; and at the society level factors such as social and public policy.